An autobiographical story in the form of a response. – Every parent since the iPhone. – Every parent since the TV. I was born in 1986. The first memory I have with a computer was when I was 5 years old. My parents had a wonderfully complex machine setup in the living room. It rested on a little desk that was shoved into the corner like an upright piano. Little peach colored flowers danced about the blue carpeting, always playfully inviting my attention that way. 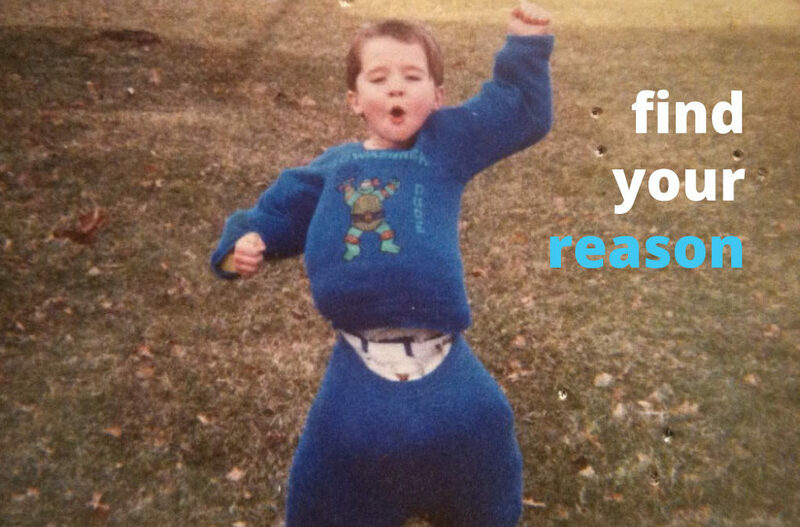 My parents loved to let me explore, tinker, and figure things out. Since the computer was also new to them, they didn’t know exactly how to approach teaching me how to use it. So instead of barricading it, they created a freedom filled home environment that allowed me to discover all of the new things on my own. I toddled my way over and pulled myself onto the chair. There bestowed before me was a giant monitor, a magical pile of disks strewn about, and a big fat beige mechanical keyboard. I randomly grabbed one of the disks and examined it. A large red sticker with the words NUMBER MUNCHERS was at it’s center. I pushed the disk as carefully as a 5 year old boy could into the disk drive. I had previously acquired this skill from the VCR. It became apparent to me that all things must be designed this way. I loved to choose and put my favorite movies on, just as all kids did back then, and still do (on tablets & cell phones). I think we’ve all had at least one movie that we’ve watched a million times through. More than anything, I wanted to put a disk into the drive to see what would happen. Maybe these played movies too? Wouldn’t it be crazy if all of these disks were a bunch of tiny little movies?! Continuing, I put the disk in with NUMBER MUNCHERS facing up. The experience of inserting the disk reminded me of my NES video game ritual. Where I would carefully blow cool air, then hot air into the cartridge, then with surgeon like precision push the game into the NES with the logo facing up. Everything locking into place perfectly as I’d push down and close the lid. Beginners luck, I had guessed correctly, and to my delight, it was a computer game. The objective of the game was to hop around as a silly little pixelated frog and eat numbers based on the math rule prominently displayed at the top of the screen. You only advanced to the next board when you ate all the correct numbers — get too many wrong, and you start over. This version happened to be the Prime Numbers edition. I relentlessly failed. Over and over again. The program didn’t teach me what a prime number was before I entered the game, it just assumed I had already learned it. How far we’ve come, right? I always had a natural patience and curiosity to figure things out. I chalk this up to being one part genetics, one part environment, and the other part growing up with regular access to the Nintendo. 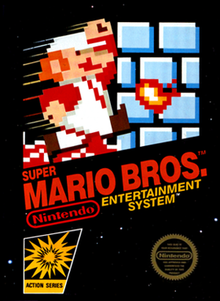 One of Nintendo’s biggest patience tests was a platform video game called, Mario Brothers. Platform games are exactly as described, the objective is to jump from platform to platform while avoiding things that cause your inevitable & excessive deaths. You start over every time your character dies. Which sounds like a dark way to learn troubleshooting skills, and completely against everything a program like Montessori stands for, but video game deaths don’t elicit the dark reminder of mortality in a child’s mind. Instead, they represent a new day, a new opportunity, and inspire a moment of reflection so they can troubleshoot their way to victory. It’s an opportunity to overcome a frustrating obstacle. A perfect life lesson. 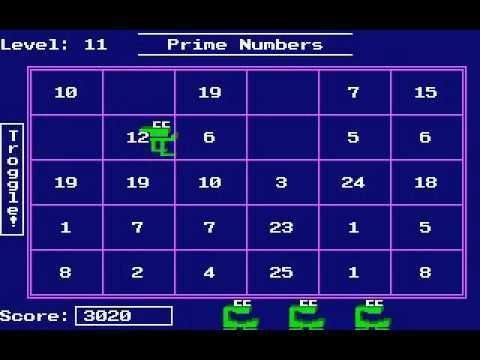 With Number Munchers, instead of giving up, I trial and errored my way to memorizing every single prime number from 1 to 105. I eventually beat the game! Fast forward 5 years… My 4th grade teacher writes on the chalkboard, PRIME NUMBERS, in big elegant letters, and asked if anyone knew what they were. I eagerly rose my hand, and with a giant smile on my face began to confidently recite them in perfect order: 2, 3, 5, 7, 11, 13…all the way to 105 as every child turned and looked at me like I was a robot. The point I’m trying to make is if you create a positive environment for your child to explore they can do tremendous things through their own curiosity and interests. With a little bit of guidance they can do even more. My father believed that the computer was the way of the future when it came to doing business. This was back in 1991 before the Dot Com bubble. As the VP & CFO of a fast-growing nonprofit company, my Dad saw firsthand how positively powerful the impact was on the work culture he had influence over. Not only did he make it a priority for his company to invest in technology solutions, he also wanted to make sure that my older brother, my two younger twin sisters, and I had unabridged access to it growing up. This wasn’t the norm when I’d hang out at my friends’ houses in Mishawaka, Indiana. Over 26 years later, many parents I’ve encountered as an educator still don’t allow their kids to use fully capable computers. If they do, they tend to put strict limitations on them because it’s assumed to be bad for them to have too much access. They’ll become addicted, they’ll break it, or they’ll see something they aren’t supposed to. It comes instinctively to try to provide our children with a balance, and it naturally makes perfect sense to me as well. However, there’s a part of me that’s also massively curious about the positive impacts of fully embracing the positive sides of children using technology. I still remember sitting down with a group of 2nd graders, 8 -9 years old. I asked them what their experiences with technology was. One student spoke up saying, “My parents only let me use the computer when it’s turned off.” He then went on to say that he was nervous to use a computer for the very first time because he didn’t want to break it. A lesson like this is why it’s so important to not only teach students new skills, but to also teach them how to fix the tools they’re using. It restores balance, and in America we’re so quick to throw things away without second thought — my Turkish wife has taught me this. In Turkey, you can still get a $20 coffee machine repaired. In America, we throw the $20 coffee machine away because it’d cost more to repair it, than to buy a new one. Parents struggle to allow their kids to use technology for many reasons. The high cost and the powerful capabilities make parents feel vulnerable, and they’re not sure when their child might be “ready” to handle the responsibility. It’s like handing your car keys over to a 16 year old. Whereas, just as we do with the car we make sure they have proper training, go through appropriate tests, and have a certain amount of practice under the supervision of an experienced driver. What if we did that with computers and the Internet? But we started teaching children how to pilot the Internet at a much younger age? In a sense, that’s what we’re unintentionally doing now. Children are becoming proficient with our smart phones and tablets as toddler’s. They see a screen and they’ll naturally try to engage with it — even if it’s not a touch screen. 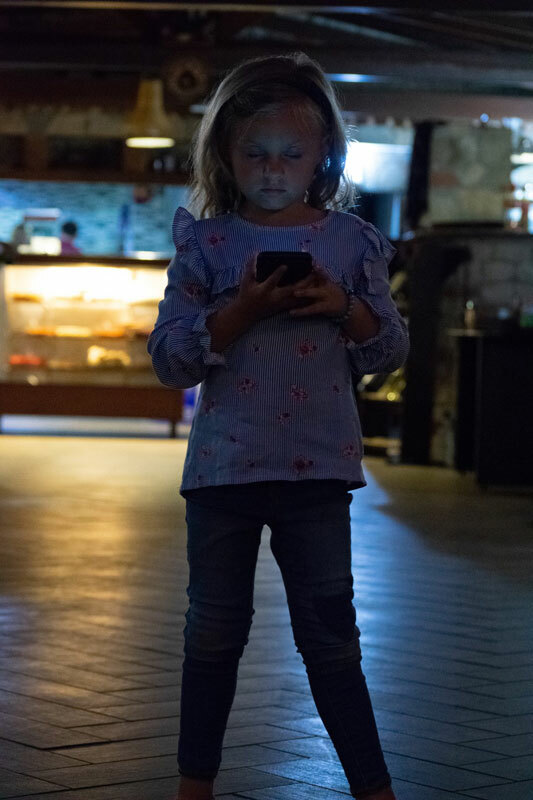 Parents that do allow their kids to use technology tend to create limitations, rules, and many consequences for breaking them. This approach is normal and expected, but it also dissuades all well behaved children from taking risks and exploring on the machine. There’s a tremendous amount to be gained by guiding them to explore unhinged. Have you ever wondered why the stereotype exists where some of our most talented computer users (hackers) tend to be rebellious kids with authority complexes? Imagine if you taught the capabilities of a powerful device like the computer & Internet to a child the same way we taught written and spoken word. The child has no idea their words could someday rock the foundation of governments, lead revolutions, and break hearts. And yet, it’s natural for us to teach them how to express themselves completely through the vocal and written medium. We don’t constantly remind them (as they’re learning) of all the terrible things they’ll inevitably do with their newfound communication tools — we just do our best to help them achieve mastery and hope for the best that they’ll choose positive paths. We continue to stifle creativity and innovation in children by being overbearing with rules, policy, regulations on technology we don’t fully understand. We also have a really bad habit of overloading their schedules in an effort to make them perfectly balanced little human beings. When it comes down to it, we’re guilty of being boring adults that obsess over correcting our own wrongs. Closing this gap is the reason I took the time to write this. Presently, we have the biggest missed opportunity to collaboratively learn how to embrace creative problem solving and innovation in our schools through interdisciplinary technology projects. We put our schools on islands — without financial or educational resources. Then the young students living on those islands have to fight to educate themselves on topics they care about. Continually having to face the wrath of insecure, uneducated adults that refuse to learn technology. I encountered so many teachers and adults that were proud of the fact that they couldn’t use a computer — like someone proud that they’re one of the few without a tattoo. Working with adults that refuse to deviate from the norms they’re comfortable with is an incredibly common theme in all industries and walks of life. Successful teachers & parents are one’s with the capacity to continually remain adaptive to the challenges they’re faced with. They’re open to change, and continually evolve their approach to the mind of each child. We all learn differently, we’re all interested in vastly different things. Why would we impose a, “one sized fits all” hat onto our education system?…onto any system? How does this make any sense? Instead, we should give children freedom and guide them to learn things they’re interested in. Then give them all the time they need to master the things they care about. Then give them access to powerful tools & technology. Then encourage them to make mistakes while we guide them to remain patient as they learn to troubleshoot their problems, and they’re (and you) are on your way to making the world a better place. Every discomfort is a growing pain. If you want to create a successfully innovative learning environment we must find ways to allow people to safely make mistakes and to express themselves through the various mediums. I think the Internet and the technologies that connect to it need to be fully embraced in schools, but they need to be done so with the exact same thought, care and effort as we have bringing reading and writing into children’s lives. You’re uncomfortable with the amount of time your teenager spends on their cell phone, why not learn the core reason as to why they do that? What are they learning? How are they expressing themselves online and to their friends? And how can you be additive to that experience for them rather than subtractive? Additive = Find out why they do what they do, and love what they love. Then suggest positive directions that give them more of what they want. Subtractive = Avoid learning the why and create arbitrary rules that don’t reflect any core understanding. Our first challenge is to figure out why we were put on this earth. Some of us were lucky enough to know from a young age, while others take years of reinventing themselves to find out.